One school transformed the way they handle discipline, and it changed everything else. In 2012, the Oakland Unified School District had a problem. Its schools were punishing African American students more harshly and more frequently than white students. That was the conclusion of the US Department of Education’s Office of Civil Rights. The office had received over 100 complaints concerning mistreatment of minority students in the district. While Oakland Unified was not the only school facing this serious problem, they were in the spotlight for it. So they entered into a resolution plan with the Department of Education to remedy the issue. One way the district has been improving its school culture is with a concept known as restorative justice. Restorative justice emphasizes communication, accountability, and healing rather than harsh punishments like suspension and expulsion. Oakland is one of many school districts that has begun shifting their focus away from a zero-tolerance approach to discipline. The move is part of a broader push to curb the school-to-prison pipeline. 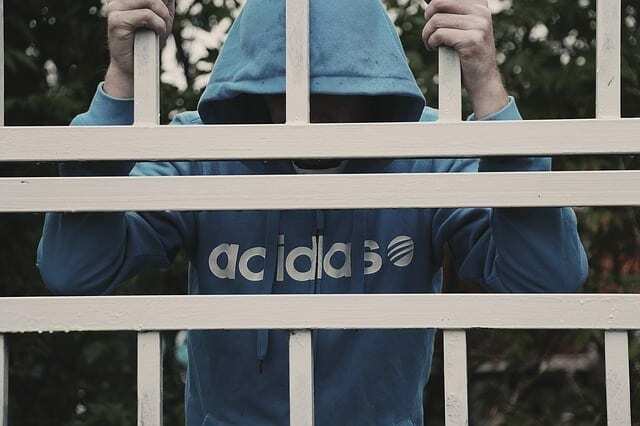 Students who are punished with suspensions or expulsions often end up dropping out of school entirely, getting into trouble with the law, and spending time behind bars. 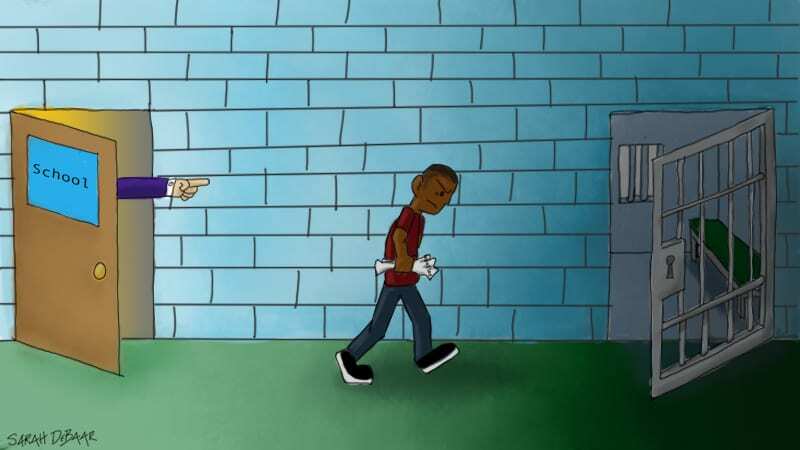 In fact, school discipline appears linked to the criminal justice system. According to a comprehensive study conducted by Texas A&M University’s Public Policy Research Institute and the Council of State Governments Justice Center, students who are suspended or expelled are nearly three times more likely to come into contact with the justice system the next year. That same study found that 23 percent of students disciplined at school had some contact with the juvenile justice system, compared to just two percent of students who had not been disciplined. Restorative justice keeps kids in the classroom. Yusem says the district has not sworn off suspension as a disciplinary measure entirely. It’s still a tool in school administrators’ toolboxes. But the district is asking school leaders to be more thoughtful in their approach to dealing with misbehavior. That’s where restorative justice practices come into play. Instead of banishing a student from school for a period of time, Oakland school leaders now use an alternative. Students sit in a circle, discuss the incident in question, and figure out the best way to move forward. Discipline should be a learning process. Limiting suspensions keeps students connected. So far, this approach is achieving promising results, Yusem said. During the 2011–12 school year, the district recorded 2,958 suspensions across all grades, representing 7.4 percent of the district’s population. In 2016–17, there were just 1,304 suspensions—3.3 percent of all students. Oakland schools that have implemented restorative justice practices have seen a 56 percent decrease in dropout rates from 2010 to 2013, compared to a 17 percent decline at schools without restorative justice, according to district data. Over the same period, four-year graduation rates increased 60 percent at schools with restorative justice. Non-restorative justice schools saw an increase of seven percent. In addition, reading levels improved and chronic absenteeism decreased at the restorative justice schools. This new form of discipline is working. Racial inequality is an ongoing issue. Data from the 2016–17 school year shows that compared to other races, African American students are still being disproportionately suspended, a fact that the district is working hard to change. “The focus really needs to be on changing adult behavior and creating space for adult reflection on how our biases impact children,” Yusem said. “We need to think about how are we creating environments in the classroom where some students thrive and others don’t. There are now 30 to 35 dedicated restorative justice staff members working across the district. In addition, the district trains 300 to 400 students in restorative justice practices each year. School environments should focus on learning. Beyond helping to shrink the school-to-prison pipeline, restorative justice practices have other benefits, too. For instance, at Oakland schools, students sit in a circle and pass around a talking stick while discussing an incident. Yusem points out that this practice alone teaches students about empathy, patience, active listening, self-awareness, and self-management. These are all highly useful skills. These practices address the root causes of a student’s actions. They also help heal the fracture created in the classroom community. Beyond that, the circle creates a safe classroom environment that’s conducive to learning. The district has made strides toward improving its culture and disciplinary practices. Yusem cautions though that restorative justice requires a total paradigm shift, which takes time and buy-in at all levels. 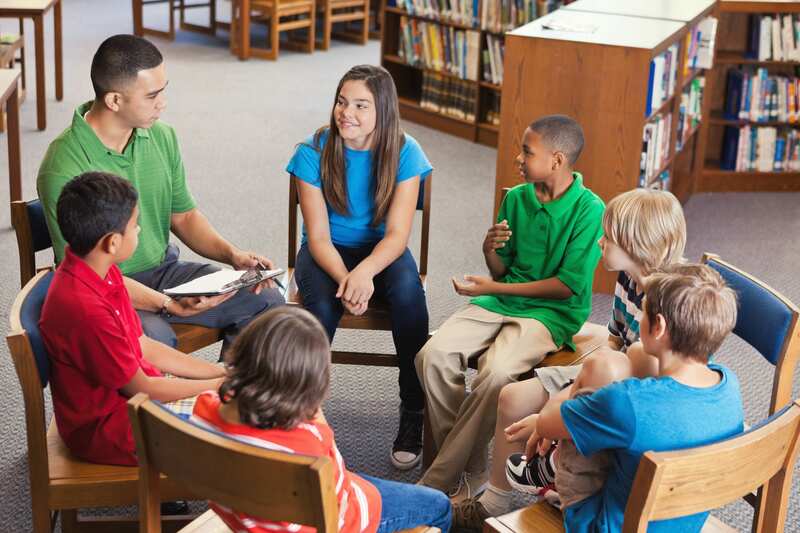 Plus, check out Six Student-Centered School Discipline Ideas That Work.